2-way professional speaker with USB and SD media player. Gem Sound's PBX120USB is a 2-way professional speaker, with a trapezoidal ABS impact-resistent design. 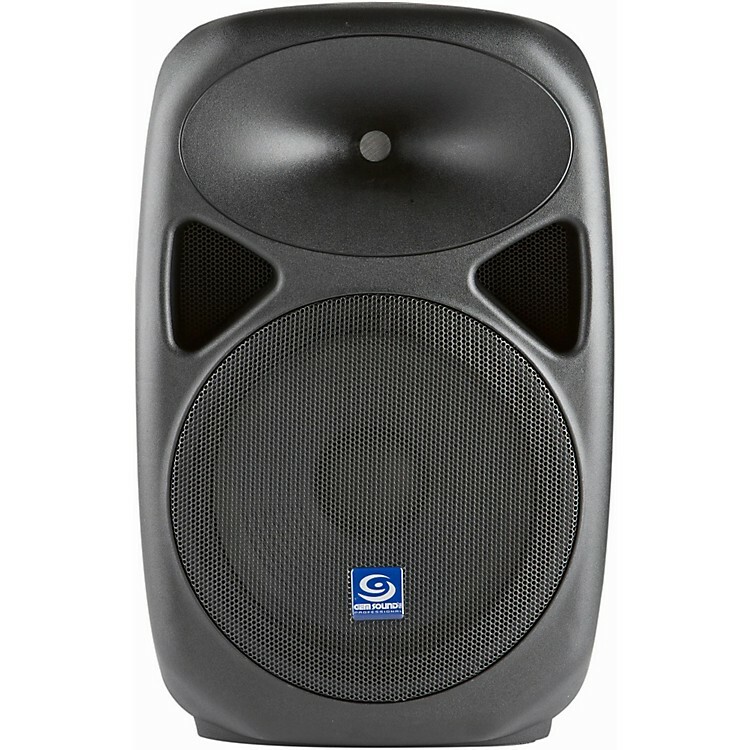 The lightweight system has a powerful 12" woofer and a wide dispersion horn. capable of 800W peak and 200W RMS. On the backside you'll find plenty of input and outputs including XLR and 6.35mm jack for Mic 1, and XLR and 3.5mmline in for connecting your media devices, as well as an XLR line out to attach to another active speaker. You can control tone level for high and low frequency at ranges +12dB, as well control the volume for mic 1, and your other media devices running through the line in jacks. The PBX120USB comes with a remote control.